Come enjoy a weekend full of outdoor activities, music, and food to celebrate the start of the 2018 Whitewater Season in Columbus, Georgia! 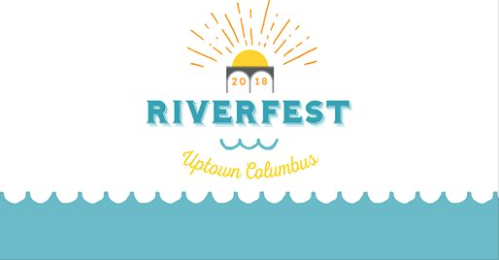 To kick off the 2018 Columbus, GA Whitewater Season, Uptown Columbus is hosting RiverFest Weekend presented by Salt Life. This weekend-long event will take place on May 4-6, 2018. Events will be held in Woodruff Park and along the RiverWalk in Uptown Columbus and Phenix City, AL. Every day of the event will consist of a variety of things to do, from striking your best yoga pose in SUP Yoga, running in the Salt Life Columbus Cup, to rafting down the river and soaring high on the Zipline. One thing is for sure, you are in for an AMAZING adventure in the beautiful outdoors of Columbus, Georgia! Along with all the outdoor events, there will be LIVE music playing on Friday night starting at 7:30pm and all afternoon Saturday! So, bring your family, friends, dogs and chairs, and have a great weekend in Uptown. As always, admission if FREE all weekend. Get excited, because this year The Goldens’ Cast Iron BBQ Cook-Off sanctioned by Georgia BBQ association will host pit-master’s from all over the region to come and give us the best barbecue that they have. So, stop by and see the competition fire up and get steamy. Along with barbeque, there will be food trucks set up by noon so you will be able to try a variety of foods along with incredible barbecue! Make a weekend of it and come spend some time in Columbus, Georgia where the tea is sweet, and the people are sweeter. There is a whole weekend full of events and a beautiful town waiting to be discovered. Click here to find out about all the amazing things Columbus has to offer! On-site, FREE Life Jackets given one per child (17 and under) while Sizes and supplies last. For more information visit www.safekidscolumbus.org.